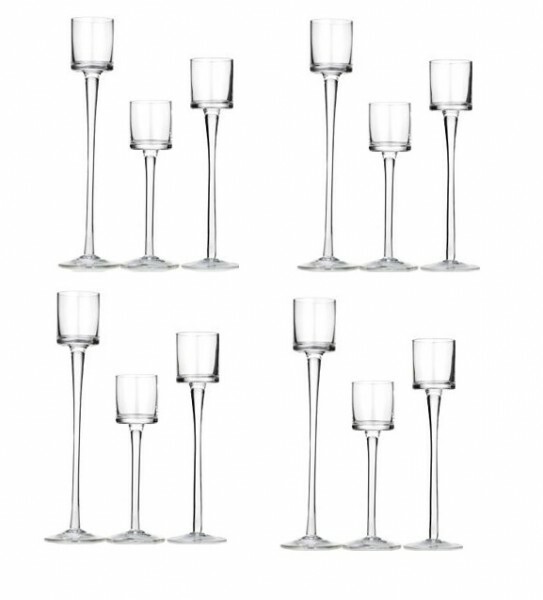 These contemporary stemmed cylinder vases add sophistication to any table arrangement. 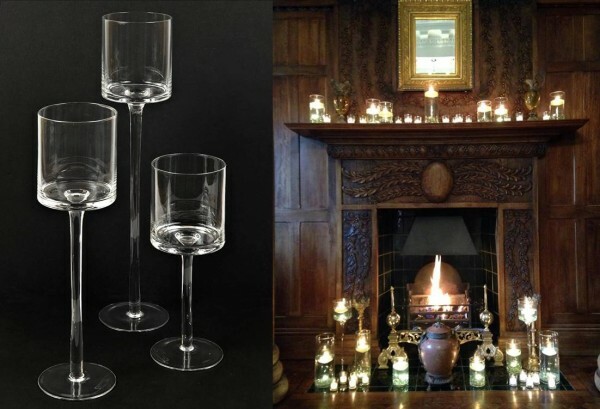 The different heights work well together in long groupings with standard cylinders and small votives. 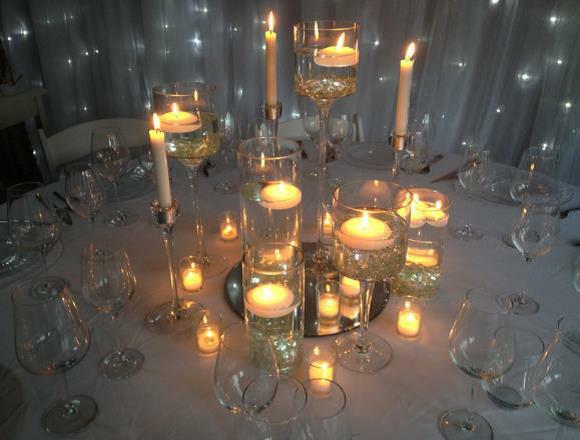 Use en masse with glass beads and floating candles to create a magical glow, or fill with moss and a pillar candle for a natural look. 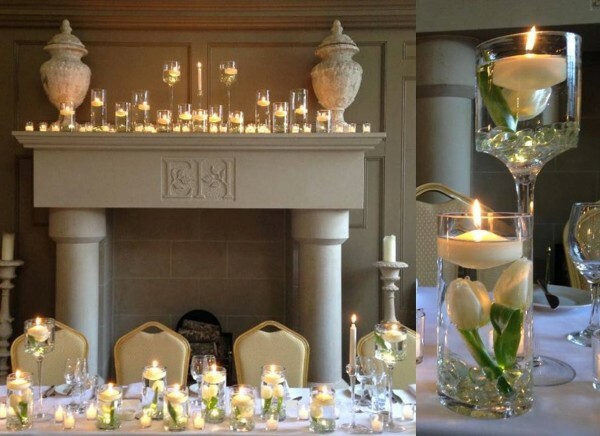 Stemmed glass candlesticks for floating candles can also be used with fresh flowers.